As part of the Committee’s Earth Day events we recognize Maola for their long standing support of the Less Means More Committee and click here payday loans service Ipc Loans. Maola has supported the annual Earth Week field days by providing snacks for the 5th graders attending the event. Less Means More began the field days 5 years ago with the support of the Craven County Board of Education. In that time over two thousand 5th graders have learned about Water; sources, use, indoor and outdoor conservation, distribution and our responsibility to assure we have sufficient water for future generations. Maola’s generous support of the Earth Week field days is always a highlight for our young students. Maola is also a responsible steward of water in their operations. The Less Means More Committee is pleased to recognize Maola. Congratulations to the whole team at Maola for being exceptional corporate citizens. Thank you! As part of the Committee’s Earth Day events we recognize the local facility of Weyerhaeuser as a leader in water conservation. 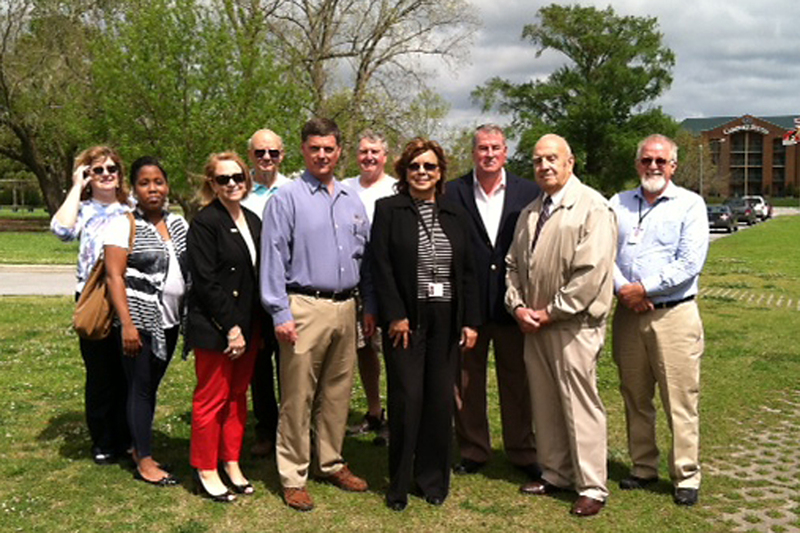 Weyerhaeuser uses Neuse River water in their process. Process water usage has been reduced over 40% since 1990. During this period facility output increased so the unit reduction is even greater. This has been accomplished through investment in equipment and close monitoring. Weyerhaeuser has wells that draw facility water from the Castle Haynes aquifer. Numerous projects have been implemented. New projects and continuous monitoring have significantly reduced well water usage. ü Annual goals and measures for water use reduction. Each year the total usage is less than the previous year. ü Annual project list for “Reduction of Mill water Usage”. The goals are communicated and progress reported throughout the year. 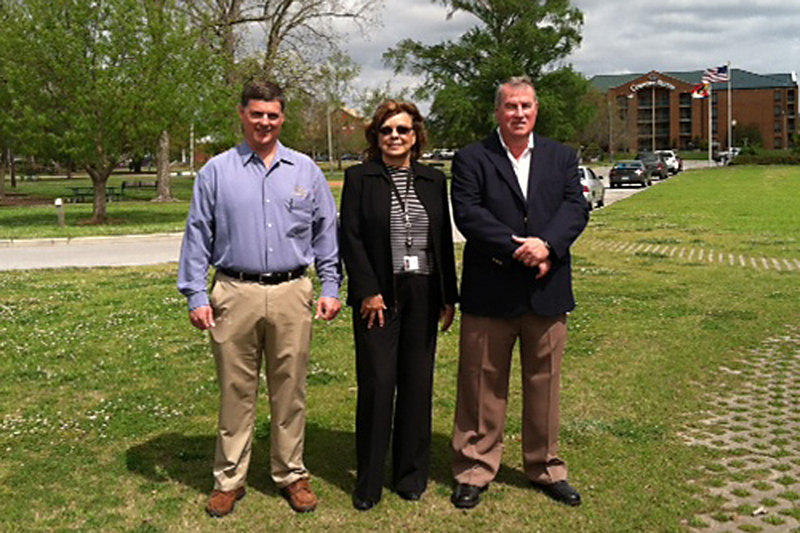 ü The New Bern facility reports progress and results to the corporate level where they are compared to 6 other mills. ü Daily operating exception reports that result in prompt response to leaks or operational problems that affect water usage. ü Water conservation is formally communicated to all employees. ü There are written operating procedures for water use and conservation. Weyerhaeuser Corporation is committed to sustainability. The company has a strong program of continuous improvement in all aspects of sustainability. Locally the facility has achieved results consistent with corporate initiatives. Congratulations to the New Bern Weyerhaeuser Pulp Mill. Fifth-graders Learn Water Conservation Lessons! Local area Fifth-graders learn water conservation lessons they can really use, as part of the Earth Day 2013 activities, at New Bern Farmers Market this week. The program was sponsored by Craven County’s Less Means More conservation initiative. See the New Bern Sun Journal for complete story. Tom Glasgow of Craven County Extension shows students from Vanceboro Elementary School a rain barrel during a demonstration on outdoor water conservation. Congratulations to 5th grader, Leah Taylor, from Vanceboro Farm Life elementary school! 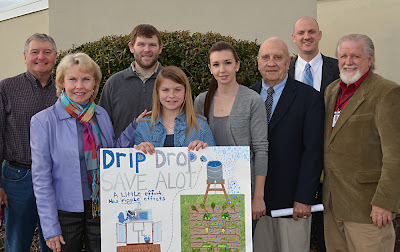 Leah submitted the winning poster featuring water conservation which was sponsored by Less Means More, a Craven County water conservation initiative. Leah was recognized at a school board meeting along with her parents and principal. Also participating were members of the Less Means More committee. Each fall, five schools in our district are selected to participate in the "Less Means More" Water Conservation Poster Contest. The contest is sponsored by Less Means More, a Craven County Water Conservation Initiative which demonstrates how using less water today means more for the future. This year Creekside Elementary, Graham A. Barden Elementary, Oaks Road Elementary, Vanceboro Farm Life Elementary, and WJ Gurganus Elementary participated in this local challenge. Hundreds of posters were submitted by students from these schools and each school had at least one winner. The first place winner, Leah Taylor from Vanceboro Farm Life Elementary, was spotlighted by the Less Means More Committee at the February Craven County Board of Education work session. This special recognition allowed Lean to speak to the Craven County School Board Members about the message she wanted to deliver with her poster. 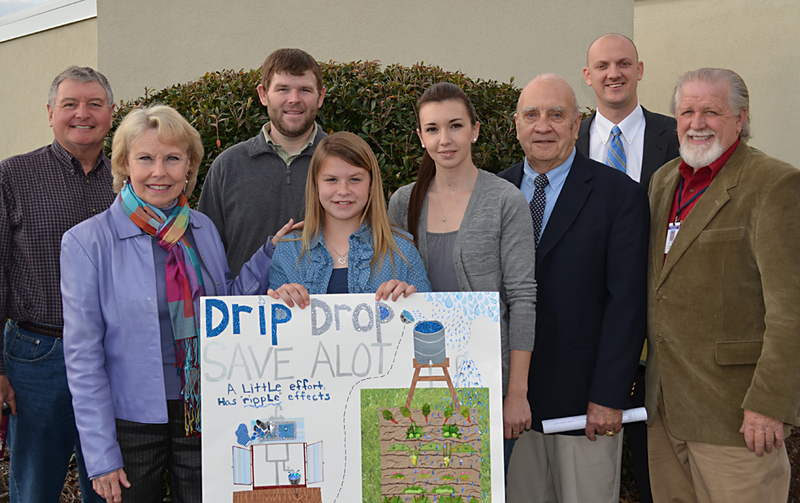 Leah's family practices water conservation at home and now she is carrying that message to the community. Leah will also be spotlighted in a Public Service Announcement with the help of the "Less Means More" committee chairman, Linda Staunch. Other winners from the 2012 fall poster contest are 2nd place-Erin Bamford at WJ Gurganus Elementary, 3rd place-Natalie Simons at Creekside Elementary. Honorable Mention winners included Caleb Balock at Creekside Elementary , Cameron McFarland at Graham A Barden, Devin Noonan at Oaks Road Elementary and Caitlyn Pacheco from WJ Gurganus. Committee Chair Linda Staunch, Craven Water Superintendent Rusty Hayes and other members of the "Less Means More" Committee have visited each of the five participating schools to recognize the winners in front of all fifth grade classes. All fifth graders in these five schools have been invited to attend a Water Conservation fieldtrip in April 2013. Here's to a Happy (and saving water) New Year in 2013! Please tell your friends to conserve water!